I hear you. 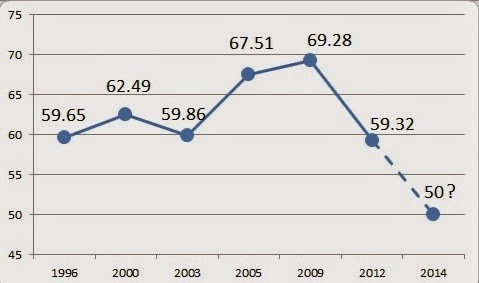 This dynamic of low turnout can and will hurt DPJ. On the flip side, lets look at another election where the turnout was actually around 50%. Namely 2013 Upper House elections where turnout was around 52-53%. 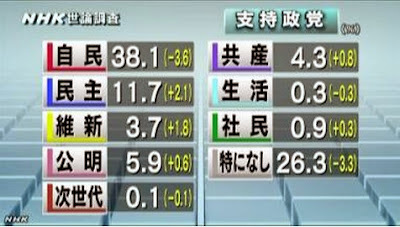 There the NHK poll in the same month of the election has LDP 42.5%, NKP (now KP)at 5.3%, DPJ 8% and JRP 2.7%. 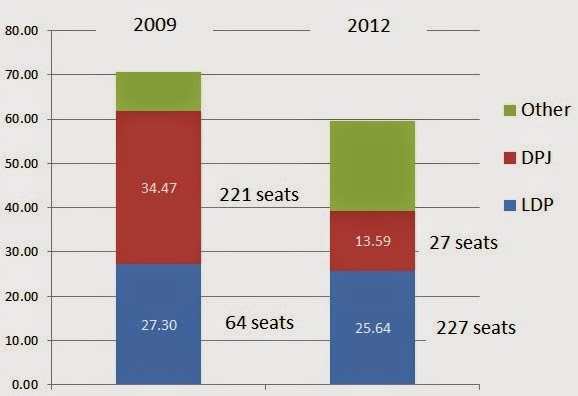 The result in the PR vote was LDP 34.7%, NKP 14.2%, DPJ 13.4% and JRP 11.9%. So NHK polls overstates LDP support and understates NKP DPJ JRP support.